King Jacuzzi Suite, Fireplace, Private Bath - Jacuzzi for two and shower. King Room - Private Bath with shower, fireplace. All rooms have private bath, one Jacuzzi Suite, Wireless Internet, TV, breakfast from 7:30 to 10 daily. 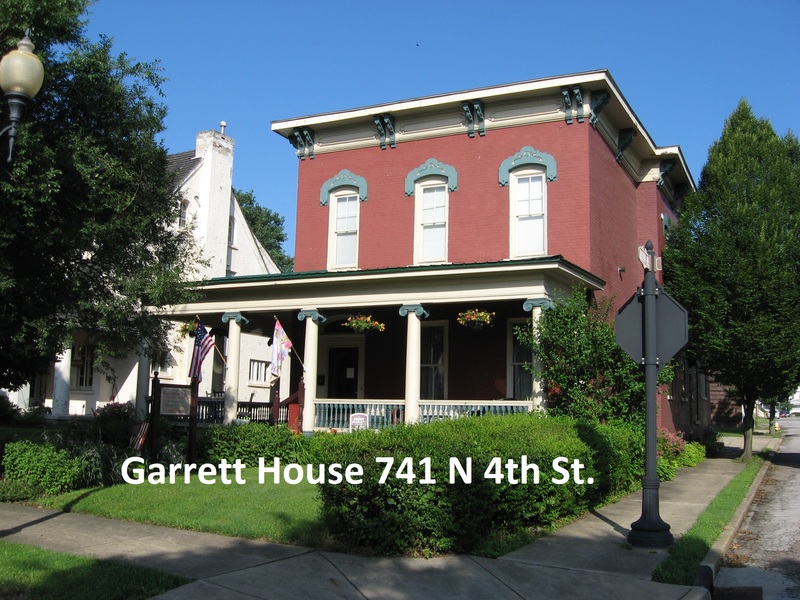 Garrett House 741 N 4th St. and Westfall House 813 N 4th St. 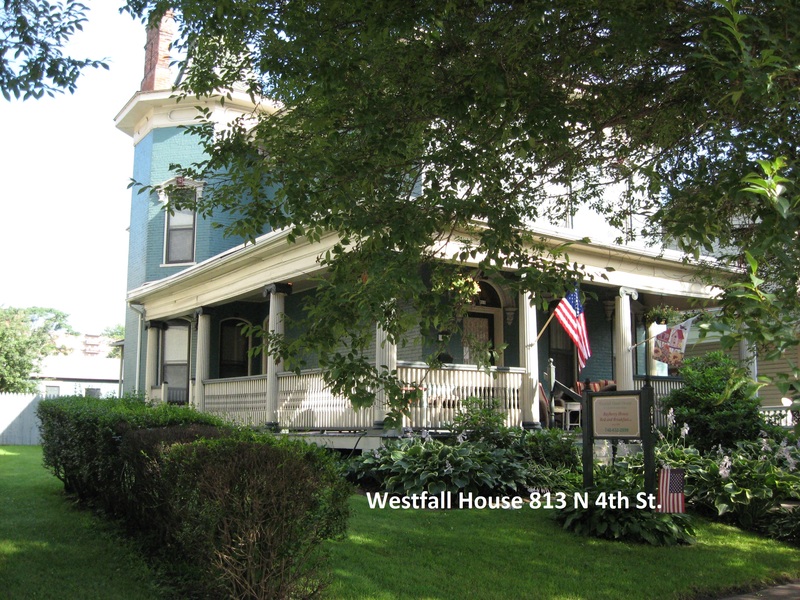 Escape the noise and rush of every day life and return to a simpler more elegant era at the Victorian Bayberry House Bed and Breakfast guest houses. Whether a business trip, getaway with friends, or romantic escape, the Bayberry offers a variety of beautifully decorated guest rooms in the Westfall House and Garrett House for your visit to Historic Steubenville and the upper Ohio Valley. Located a short 4 block drive from Franciscan University and 30 minutes from the Pittsburgh International Airport, the Bayberry is your home away from home. We provide a quiet unobtrusive visit, so you can relax and enjoy your stay. The B&B is run by myself (Scott), my son Derek and in the summer my friend Vance. Each guest room has a private bath and accommodates up to two guests (we have three rooms that can accommodate 3 guests, call to arrange) Each room has cable TV, free WIFI and includes buffet style breakfast as early as 6 am in the kitchen. Hot Coffee, tea, fresh fruit, orange juice, and two cereal choices and milk, and bread. Also a special hot home cooked hot item are available from 7:30 to 10 am. You also have use of all the living areas, and there is free wireless internet throughout, air conditioning, antiques and collectibles to enjoy and many other amenities. If you need assistance, please call 740-632-2899 between 8 a.m. and 6 p.m. eastern please, or you can make reservations online any time (please click the reservation link above). Check in is 4 pm or after at your guest house, (I will usually text you earlier that day as to what time your room will be ready if we are ready early, please provide a cell phone number). Greeted check-in is available from 4 to 6 pm if you call or text before 4 pm so I can arrange to meet you on the porch. A late arrival can be easily arranged if needed just let me know. Generally I will text you the afternoon of your day of arrival when your room is ready with a reminder of which guest house your room is located. Check-out is 11 am.